Loved the pools, room, scenery, environment, everything. Wish the lazy river opened at 8am like the main pool since it's so fun. Balcony is not worth the price unless facing the pool. We had an excellent stay in Tahiti Village. Everything from the rooms to the staff were top notch! The location wasn’t directly on the strip but still close which was perfect for us with two children. This property is much more family friendly than the hotel we stayed previously. The 2bdrm suite that we rented was nice and spacious and had all the necessities needed for our stay. The things that we didn't have but needed were supplied with a quick phone call to the front desk or housekeeping. The only drawback that was an issue for me was the distance of the elevators from the rooms and parking garage. It's a very long walk especially if you're bringing in bags and other things. The room was beautiful. The service was great and the steam shower amazing. Definitely will recommend!!! I want to come back in the warm weather. Amazing resort at an amazing location. Our new favorite place to stay while we aee in Vegas. No one ever cleaned our room! Had to call 2 times to get towels, wash clothes, coffee! Everything was great, the property is clean and well taken care of will definitely stay again! The place was perfect, close to the strip, a shuttle runs every half hour or so, clean, had a full kitchen that’s a plus, i enjoyed my stay, the only thing was that they don’t service your room every day as regular hotels do, but I’m not that messy, so that was no a problem. 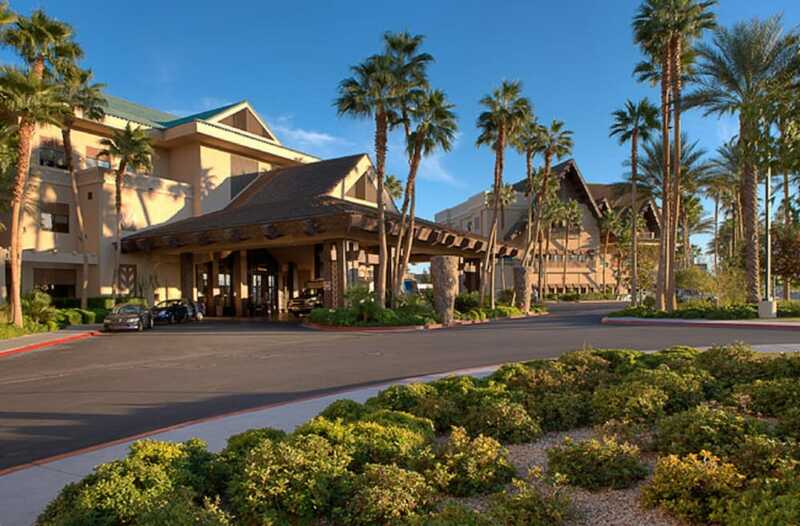 Town Square Las Vegas is a short stroll from Tahiti Village Resort & Spa, and other popular attractions like Welcome to Fabulous Las Vegas Sign are within a couple of miles (3 km). This 3.5-star condo resort has 850 rooms and welcomes guests with 2 restaurants, a full-service spa, and an outdoor pool. This condominium resort is home to 2 onsite restaurants, perfect for a quick bite to eat. Savor a meal from the comfort of your room with room service, or entertain your taste buds with a beverage at the bar/lounge or 2 coffee shops/cafés. Each condo is air-conditioned and features a kitchenette and space to spread out with a sitting area. Guests can expect to find free WiFi and 42-inch a TV with cable channels and a DVD player. The bathroom offers hair dryers and free toiletries. Other standard amenities include a sofa bed, a coffee maker, and free local calls. Weekly housekeeping is available. Guests of Tahiti Village Resort & Spa enjoy a full-service spa, an outdoor pool, and a lazy river. You can take advantage of free parking, along with a free casino shuttle. Multilingual staff at the front desk are standing by 24/7 to help with concierge services, dry cleaning/laundry, and luggage storage. Other amenities at this spa condominium resort include a fitness center, a spa tub, and free WiFi in public areas. Hello, A. Thank you for visiting Tahiti Village! We are happy you had an enjoyable stay and appreciate your highest rating. Thank you so much! We are happy you had an enjoyable stay and hope to see you again. Thank you for your visit and feedback. Thank you for visiting Tahiti Village and taking the time to share your comments. We are happy our spacious Royal Tahitian had everything you needed for a satisfying stay. We hope to see you again! Thank you, Monica! We truly appreciate your highest rating and hope to see you again. Thank you for visiting Tahiti Village and sharing your comments. We appreciate your feedback and hope to see you again. Thank you for choosing Tahiti Village! We are happy you had a satisfying stay and truly appreciate your highest rating. Thank you for visiting Tahiti Village! We are happy our spacious accommodations and in-room amenities contributed to your satisfaction. Your recommendation and highest rating are very much appreciated, and we look forward to seeing you again sometime soon! We regret to learn of your experience and extend our sincere apologies if your interactions with our resort staff were anything less than completely helpful and courteous. Outstanding customer service is our top priority, and we are disappointed we fell short of expectations on this occasion. The condo resort has an outdoor pool and a spa tub. A lazy river and a fitness center are other recreation options.